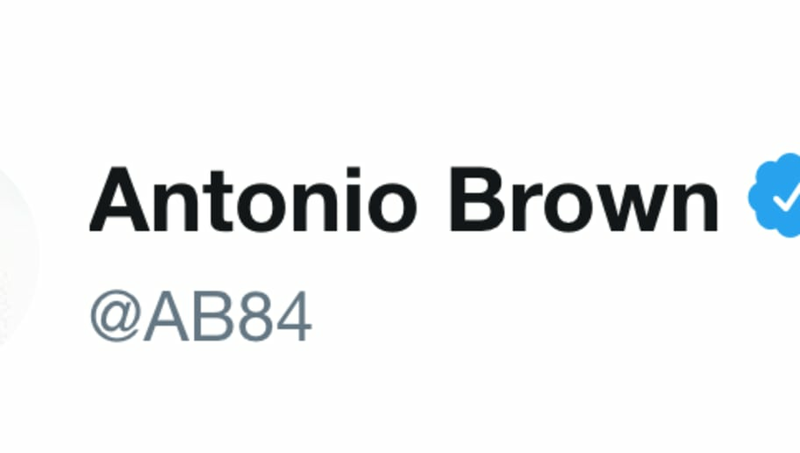 The whole Antonio Brown saga just got a lot weirder. In the past few days, Brown has taken to Twitter to fuel the drama surrounding his relationship with the Steelers, from ranting about Bruce Arians' comments toward him, to straight up unfollowing the team and removing them from his bio, and now it appears as if he's using a burner account to help support himself in his online tirades. There's no hard evidence, but there are some very bizarre similarities. The account @michael57692394, otherwise known as mikey G 45, was just created the other day and is suspiciously passionate about how Brown is perceived. Shoutout to Twitter user @YurekJason who pointed this out. The account also follows just 26 accounts, including mostly Steelers players and two NBA players in Kevin Durant and Chris Paul, with the former being notorious for his burner account incident. Mikey G 45 also has tagged Brown in nearly every tweet and used #callgod, a hashtag Brown has been frequently using. But what else? Both Brown and Mikey G 45 have some pretty weird tendencies, with both using "every1" and "silence the haters." On top of that, who in the WORLD is Brown retweeting today?? While none of this is hard proof that this account belongs to Brown, all of the information about the account seems to point in that direction, and if this is true, it's just sad to see how much he has fallen from grace.